According to young people – those of the “2.0” generation, the automobile is an item taken for granted such as the television, dishwasher, internet, smartphone and social network. The car, as modern object of desire, at least for the lucky ones, means to desire not a simply car but “that” one. 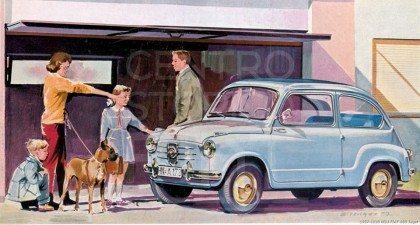 But for those who were young in 1955, when the Fiat 600 was presented, the automobile was more than an object of desire, contrary to The Vespa or Lambretta, the automobile was – especially for young people- a dream accessible to few. But everything was rapidly changing! In Italy, RAI television broadcasts began in 1954. They were black and white, limited to the evening hours and with moralizing contents almost puritanical. Nevertheless television quickly became a powerful tool of cultural aggregation and propagation of new lifestyles. Cinema and tabloid were inspired on American myth, especially in the young there was the accentuation of tastes and behaviours that led to important and unimaginable developments in sectors such as clothing, music, dance clubs and metting places. Precisely the bar was a symbol of this new wave of aggregation even cultural: November 19, 1955 the first episode of the TV show “Lascia o raddoppia (Double or nothing)?” – an italian quiz involving prize hosted by Mike Buongiorno– had over 10 million viewers, most of them in bars. Families that owned a TV were very few, less than 200,000 subscribers in total, that will become 266,000 in 1956, to grow exponentially only in later years. The bar, become, thanks to “Lascia o raddoppia (Double or nothing)?” an important centre of meeting for young people and families, inside a society more urban and less rural. 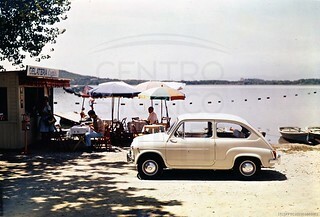 In that context on March 9, 1955 Fiat launched to the International media, gathered at Geneva, the Fiat 600. The chronicles tell about unanimous and flattering comments from journalists and experts who appreciated especially the adoption of “unorthodox and ingenious solutions”. In the day following, the audience, first in Geneva and in Italy and than in other countries, confirmed the first judgment and rushed to try the new car. 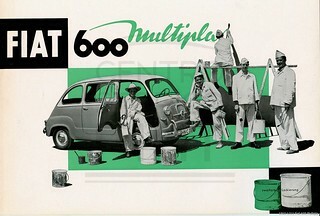 A great organizational and media work brought the Fiat 600 in the crowd. 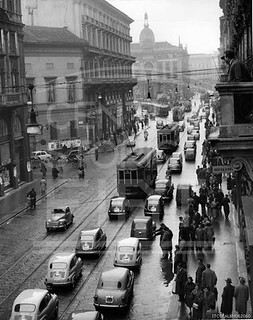 The new Fiat 600 invaded the main Italian cities: everywhere, hundreds of cars paraded through a crowd curious and ready to dream about a different future. A strong advertising campaign, which ranges from the famous manifesto of Casorati set in a surreal Turin by night to the short film made by Cinefiat and also broadcasted by RAI (at that time television advertisings didn’t exist, Carosello will be broadcasted the following year) and the opportunity to purchase the car in instalments did the rest. The version with a retractable roof contributed to the success – the “convertible” – and especially the Multipla, a mono van ante litteram that, with its crushed nose, was changing the way you think the car in terms of space and became a reference for taxi drivers and numerous families. Despite the daily production might pass from a little more than 600 units to over 830 in 11957 and finally to exceed 1,000 units, the waiting times were sometimes even more than one year. Italy got in the car! The first 3 years of Automotive Space (Eng): wishes! Great organization. 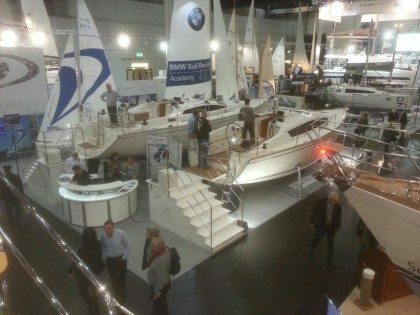 There were full many shipyards of Northern Europe and the developing ones of the Eastern Europe.